Florida has some of the nation's toughest building codes. But in the Panhandle, you wouldn't know it. The rules are looser there — allowing construction that couldn't stand up to Michael's 155 mph winds. Erwin lost doors, windows, and part of his roof. But his house is still there. The same can't be said for many other residents. Entire blocks are flattened. Mexico Beach's mayor says 75 percent of the town is gone. The storm surge washed houses on the beach off their foundations to the other side of the coastal road. Even more damaging were the high winds that lifted off roofs. One reason for the extreme destruction in Mexico Beach and in other communities on the Panhandle is that there is old, substandard construction that predates the building code, according to Craig Fugate, the former head of the Federal Emergency Management Agency and a longtime emergency management official in Florida. "That's what I call the old Florida," he says. "It's not a bunch of high-rises. It's not a lot of new construction. This is multigenerational Florida families. Many of them were descendants of folks who fished the areas." After Hurricane Andrew in 1992, Florida took a serious look at its building codes. In South Florida, Miami-Dade and Broward counties adopted strict standards, requiring storm shutters and reinforced concrete block construction for all new buildings. It was all aimed at making structures able to withstand winds up to 175 mph. When Florida revised its statewide building code, says structural engineer John Pistorino, officials decided not to require South Florida's 175 mph wind-speed standard elsewhere in the state. "Unfortunately, because it is based on probability of storms in the past and all of that," Pistorino, who helped develop the standards, says, "it sort of goes down as you go further north in Florida." Historically, there have been fewer intense hurricanes on the Panhandle than elsewhere in the state. In some communities on the Florida Panhandle, new construction needs to only withstand wind speeds of 130 mph or less — far below the 155 mph winds seen during Hurricane Michael. In the aftermath of the storm, as local, state and federal officials assess the damage, a consensus is emerging that building codes along Florida's Panhandle need to be tougher. Florida Gov. Rick Scott and FEMA chief Brock Long both said as much last week after visiting Mexico Beach. 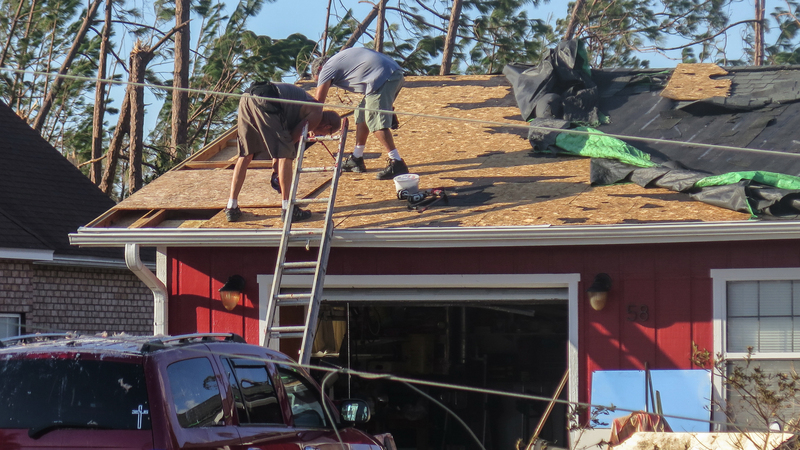 David Prevatt, a professor of civil engineering at the University of Florida, was part of a team that spent the weekend on the Panhandle gathering data on Michael's impact there. "What we saw there was damage to pretty much all types of construction, all types of materials and all types of housing," he says. "What was not damaged were houses that were well-engineered." Fugate, the former FEMA head, has long believed the wind-speed standards along Florida's Panhandle were too low. He says when policymakers developed them, they didn't include information about a powerful hurricane that hit the area in the 19th century, before accurate record keeping. "If you add that storm back in," Fugate says, "and now particularly if you add Michael back in, it's going to force a much higher wind-load requirement for the coast well inland based upon those two storms." Florida's Building Commission is in the process of revising the state code and is awaiting recommendations from the University of Florida team led by Prevatt. But Prevatt says understanding how to build resilient structures is just the first step. "We know what can be done. It has been proven. The research is there." He says along the Panhandle, the key question is "whether a community is willing to adopt it or not." Realtors, homebuilders, the insurance industry, even affordable housing advocates all will have a voice as Florida considers how to prepare for the next storm like Hurricane Michael.